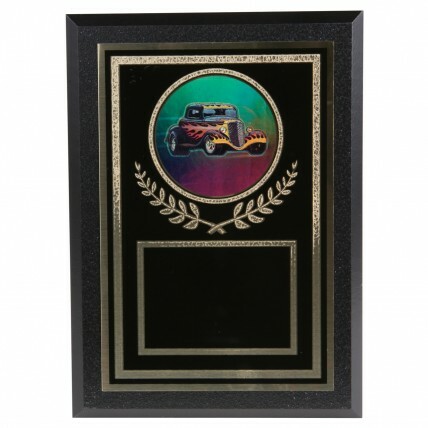 There's no better way to acknowledge an awesome speedster than with this Hot Rod Award Plaque! 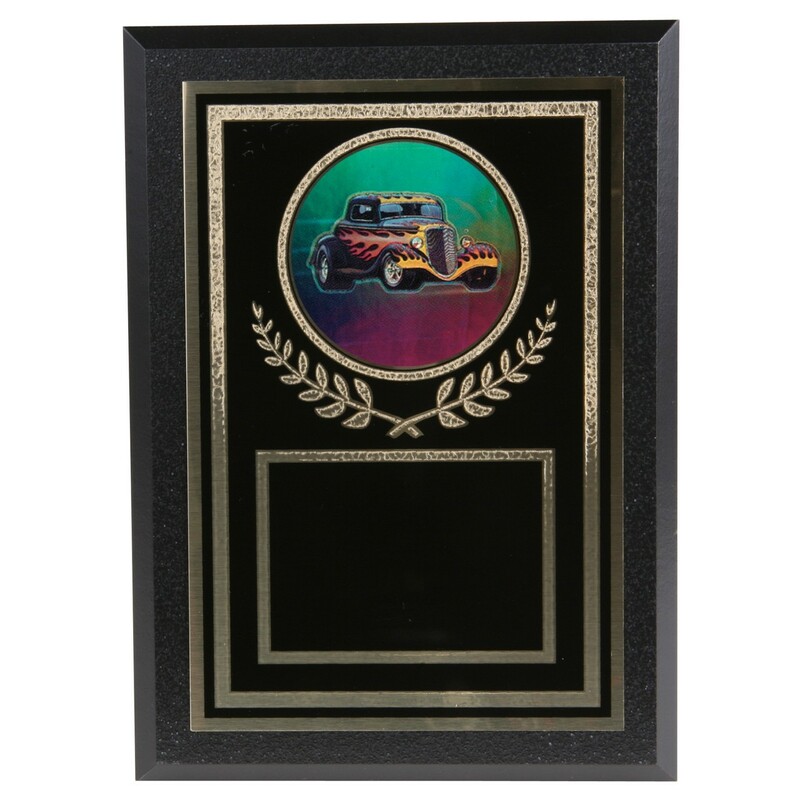 The brilliant black brass plate features Florentine-styled trim and a colorful holographic flaming hot rod encircled by a victory wreath mounted on a black 5x7 plaque. Plate includes space for up to four lines of your engraving.